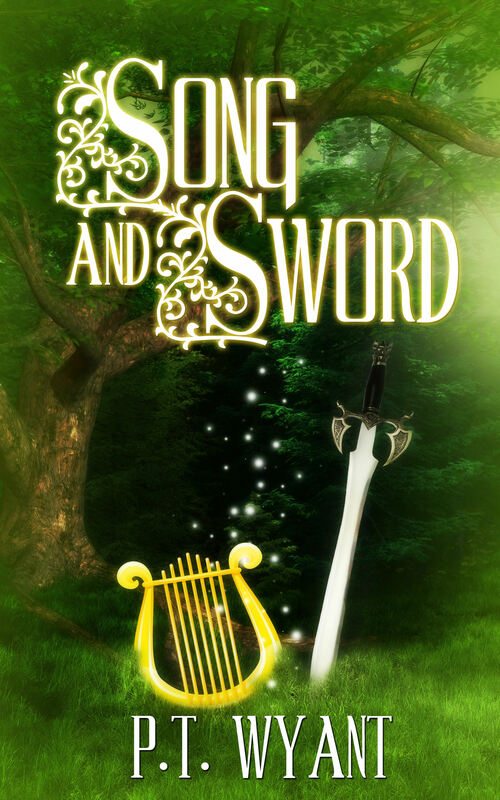 So, anyhow, I thought I’d post from Song and Sword, the first novel I published, since I’m working on a sequel and need the motivation. He had no reason to believe that anyone was following her, and he knew that Sonata and the other unicorn would stand guard and let him know if there was danger, but he would stay awake anyhow, watching her. Somewhere between midnight and dawn her fever broke, and she shivered so violently that he had trouble keeping the blankets around her, finally resorting to cocooning her in them. Her unicorn came over and lay down next to her, lending her his warmth, and Pashevel smiled. “You two have quite the bond, don’t you?” he murmured, then frowned. “No. No you don’t. You were surprised when I knew to touch your horn, knew that you could show me what happened…” His voice trailed off as he forced himself to recall the scene the unicorn had shown him, this time focusing on her interaction with her mount. “She doesn’t know, does she?” he asked softly, and saw a look of sadness in the unicorn’s eyes. “Don’t worry, my friend. When she is better we’ll teach her.” A note of hope lit the unicorn’s eyes and Pashevel smiled. “Her fever is breaking, that’s a good sign. I think she’s going to be all right.” The unicorn touched him briefly with his horn in thanks, then closed his eyes contentedly and drifted off to sleep. glad to read she’s getting better. But i somehow missed what she doesn’t know? To touch the unicorn? I hope she’ll be all right. Lovely snippet. Lovely scene, with a note of hope for the future. Great snippet! Love the way you’ve shown the interaction between him and the unicorn. I loved the way he took care of her. I love his connection with the unicorn.